Do not question the pineapples. Question everything else. Interesting things are happening over at Mastodon. If you have had your ears tuned to the hacker grapevines, you will most likely have heard that Mastodon is an open source federated social network that works very much like Twitter but is, in fact, not Twitter, and thus poses a challenge to the venerable bird site. You might also have heard that William Shatner made a brief visit, that Nazis are expressly forbidden from using it, and that the whole enterprise is apparently doomed to fail within some unspecified timeframe. These are things you might have heard. These things are also beside the point and, frankly, not that interesting. What is interesting is that the sense of early 90s cyberoptimism has started to reappear. It is possible to do things again, to change things, to build things that will make a difference. Suddenly, it is possible to discuss what things are and what they should be. What is an interface, what does it mean in its current form, how should we change it? What can and ought we do to establish sustainable social norms? How do we go about surfing together on the information superhighway without colliding with each other? How do we live together without breaking one another? Communities are starting to form. 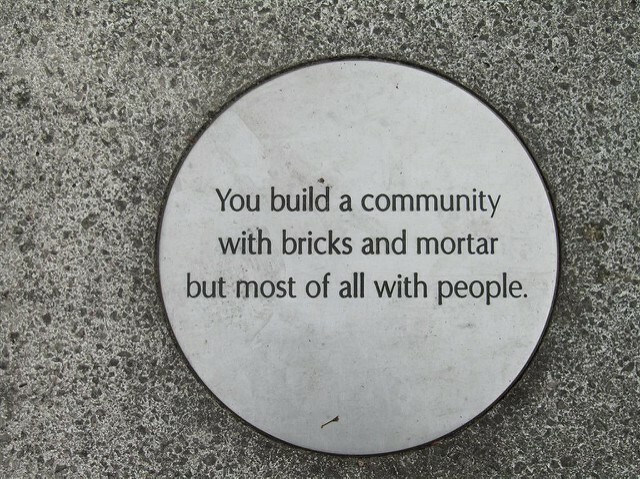 Small, tightly knit, highly interactive communities based on mutual interests. Communities where the norms are not yet settled, where the ancient injokes have yet to be made, and where shared values are still in the audacious state of still being discussed. Everything is up in the air, everything is possible, and everyone is charged by what might be, should we but effort it. There is a virtual town of witches. They do tarot readings. Let the thought sink in for a spell. Now, to be sure, most tangible manifestations of these community building efforts are quite banal. Dozens of people suddenly sending pineapples emoji at each other for hours on end is just the kind of thing that internet strangers have done since the dawn of cybertime. It’s mostly small things. But at the same time, small things are what communities are about. The shared memories, the common reference points, the casual mention of what happened that one time when something went awry but turned out well in the end. Small things, which when added up combine to a shared understanding of the past, present and possible futures. It is possible to do something different. And it is possible to do it now. To make something different, there has to be something to be different to. And there is. There is Facebook, where all you do is get into fights with people you know, sometimes for the flimsiest or reasons. Or, worse, when people you know get into fights with each other while you are away — such as that one time when I reminded my peers about daylight saving’s, and the comment section escalated into a no punches pulled pitched battle about something completely different (in which the moral character of everyone involved was questioned at least twice). As the gunpowder smoke settled, I reminded the participants of the original post, and asked them how they managed to get this upset over daylight saving’s, a rather mundane happening. If that is sufficient to spark a major dispute, no topic is safe. Then there is Twitter, where the standing topic of the day (every day) is what manner of doom and gloom currently befalls the world. Mostly in the shape of a particular president, or brexit, or whatever else the news happen to be about that day. I have written about the constant stream of bad news elsewhere, so there is no need to go into any further depth on that. However, there is another aspect to Twitter, beyond the doom and gloom. There is an ever present threat lurking within every notification. You never know what it is going to be. A grateful retweet from someone who thought your words are making their life a better place, or a strategically placed fav from someone who wants you to know that they are watching, and that they will pounce on you should you step over some arbitrary line. Every notification might be the first hint of an oncoming onslaught of haters, who will not hesitate to use any excuse to turn your mentions into the proverbial fiery pits. Especially if you happen to be feminist, woman, of color or anything else that is not within some narrow definition of normalcy. Needless to say, these are not ideal conditions to form a community. Getting into senseless fights with people you know does not foster a shared sense of space, and getting harassed en masse by irate troll is actively harmful. Worse, having to constantly think (both consciously and unconsciously) about the possibility of these things happening damages your trust in those you communicate with, be they friendly or hostile. You cannot be honest or open about your life or your thoughts, as literally everything can and will be used against you. These risks are built into the interfaces of these places. There are too many people about, with too little sensitivity to context. In the case of Facebook, it only takes one person to start a fight; once started, others are drawn in by weight of social gravity. In the case of Twitter, the mobs are actively looking for people to berate — due to the sheer fact that they can easily find someone to target. Everyone is there, and there is no place to have a quiet conversation. Everyone is listening. And talking. At you. Should you dare to voice concern about this state of things, the response is already given. Hands will wail about free speech, rational debate will be invoked as an ideal, and the mildest suggestion that everyone (or anyone) ought to be nicer to each other is hammered down as were it the vanguard of a brutal new regime of censorship. There will be shouting. Every time. Like daylight saving’s, it can be predicted with disconcerting accuracy. You would be hard-pressed to find a more interesting question than that. And you will not find the answer on your own. Fortunately, you do not have to. There are other ways. We can figure it out. Together. Discursive anomalies. Anti-content. Theme-resistant. Passive-benevolent. Unrelenting ululations. Hug your bots!